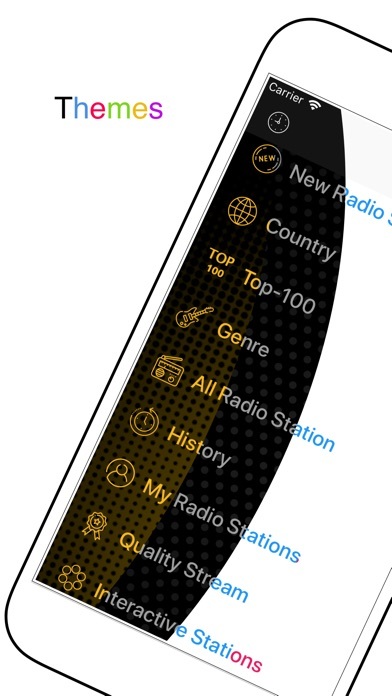 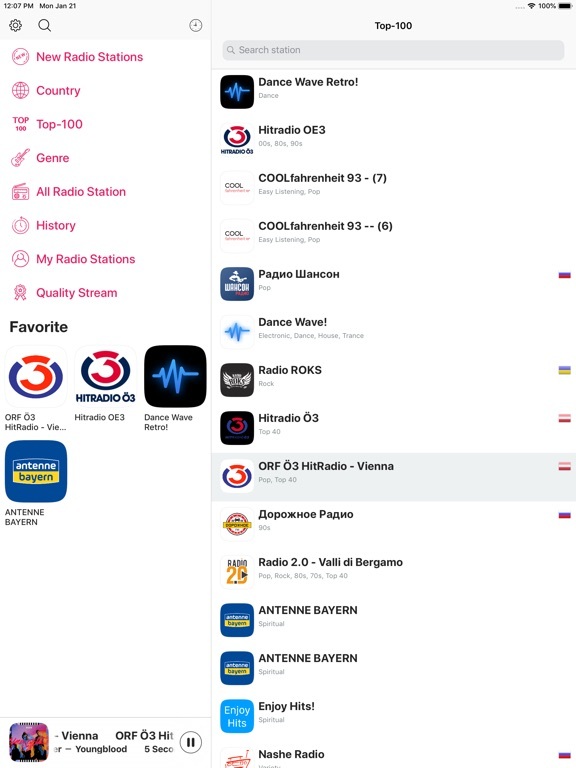 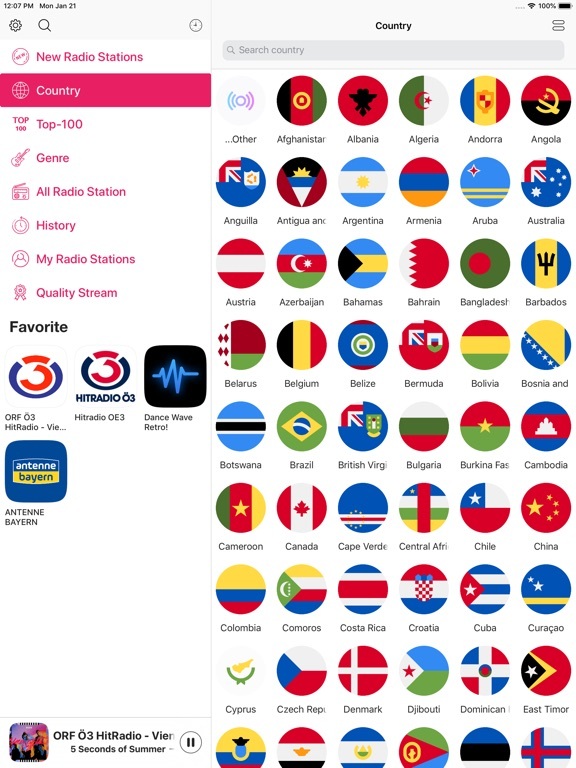 The Radio App features over 50,000 radio stations from around the world. 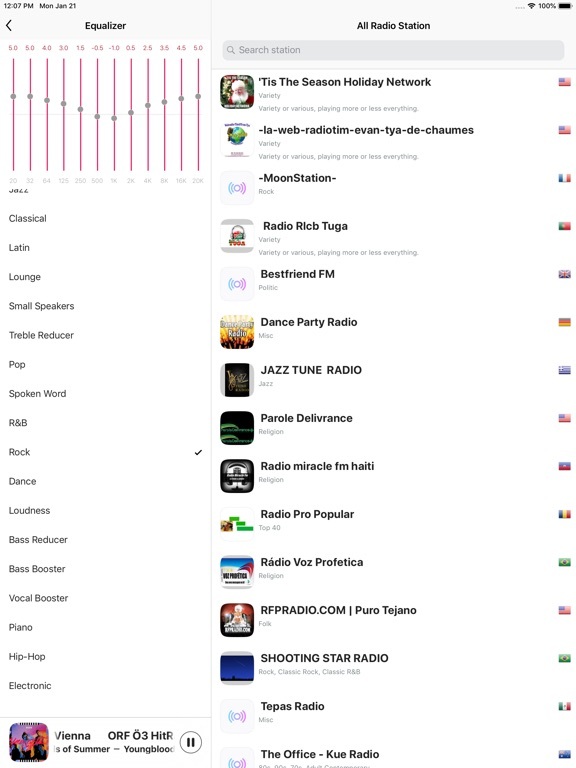 Radio offers tremendous depth and breadth of stations with genres ranging from Alternative, Electronica, Metal to Jazz and Classic across a broad set of languages including Italian, Spanish, French, German, Russian and Portuguese. 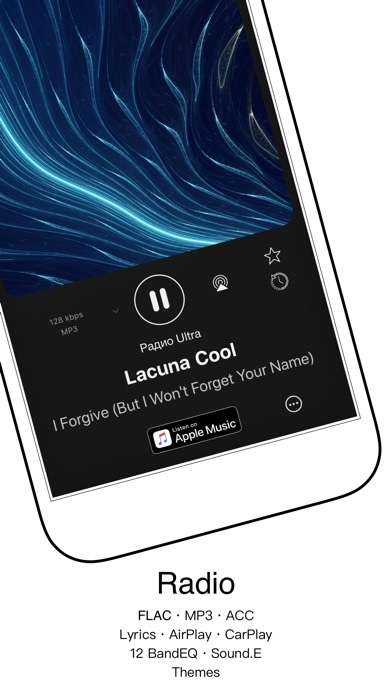 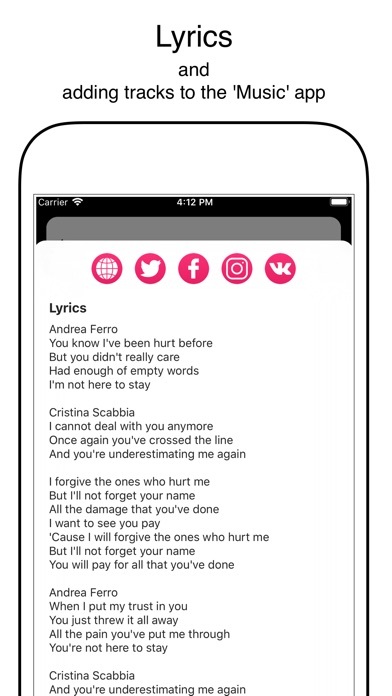 With song recognition service you can easily discover new songs, set likes and get them from Apple Music app. 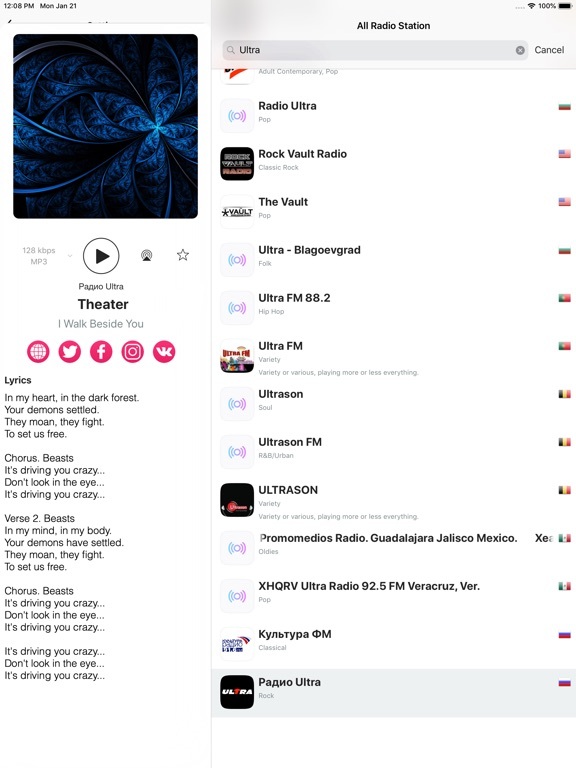 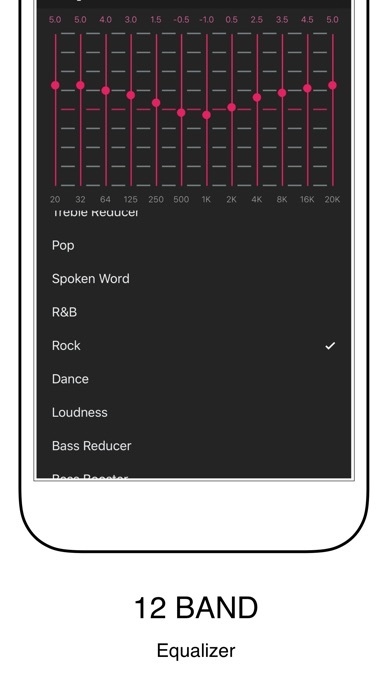 The application supports lyrics search.